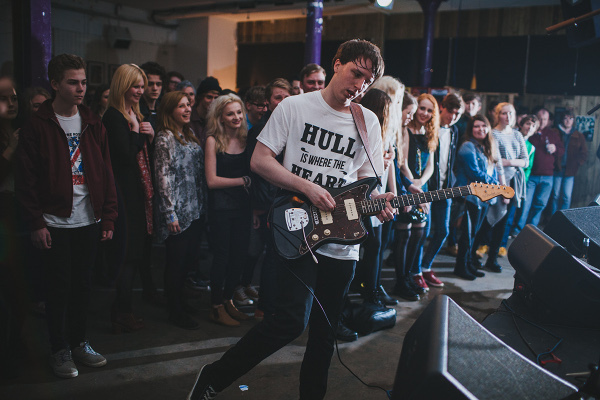 Following suit from bands such as Eagulls and Orwells, Hull-based five piece La Bete Blooms prepare for a busy summer having spent the start of the year writing and recording, as well as supporting the likes of Jaws, Pins and Night Flowers. The new single 'Wishing I Could Kill' continues with their dreamy aesthetic influenced by such bands as The Cure and The Pixies, and is available as a free download from Monday 7th July on Soundcloud, Spotify & iTunes, via The Adult Teeth Recording Company. The track (recorded by John Spence at Hull's Fairview Studios) is to be followed up by the band's debut EP this October and is the final chapter in a string of beautifully subtle reverb drenched singles since the band's beginnings.